The strategy of reforming the state banking sector, developed by the government, provides for declaring Oschadbank and Ukreximbank (both based in Kyiv) as strategic and the sale of at least 20% of their shares in the medium term until mid-2018, Finance Minister Natalie Jaresko has said at a government meeting. "The strategy foresees the division of state banks into strategic and those that are not of strategic importance. The first group includes Oschadbank and Ukreximbank, on which the sale of at least 20% of the shares in the medium term until mid-2018 is foreseen. Non-strategic banks are Ukrgasbank, Rodovid Bank, the UBRD and others, the strategy of the state's withdrawing from the banks both through privatization and liquidation has been developed," she said. 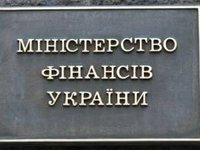 According to the minister, target client segments are determined for Oschadbank and Ukreximbank: retail segment for Oschadbank and the financing of export-import operations for Ukreximbank. Jaresko said the developed principles for the management of state-owned banks provide for the election of the supervisory council consisting of independent members from the private financial sector, market-based remuneration mechanisms, the creation of specialized committees in the supervisory council, clear rules of interaction between the government and the banks on a contractual basis.